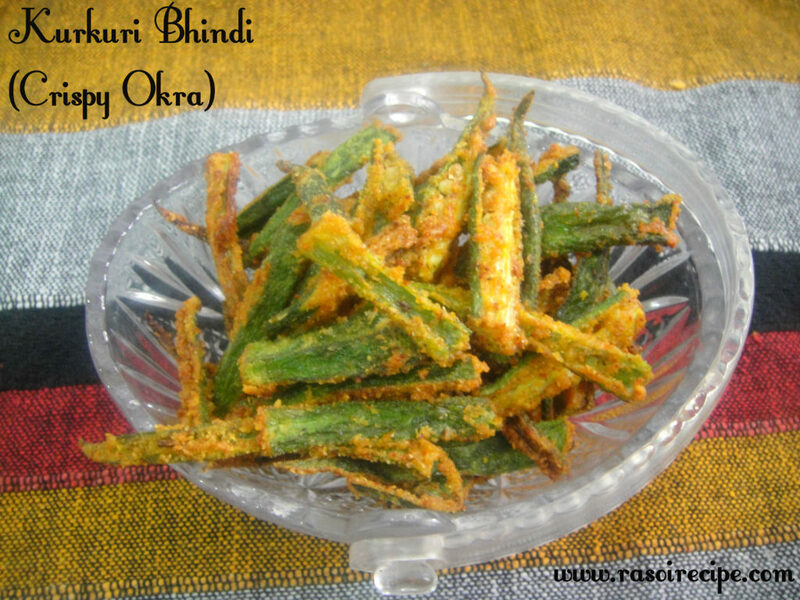 Kurkuri Bhindi / Crispy Okra is a tasty, crunchy and spicy lady finger recipe. 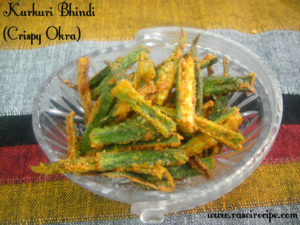 Bhindi is hindi name of okra or lady finger. You can serve this dish as a side dish with chapati or dal rice. This recipe is very easy to prepare and can be served for lunch and dinner as well as snack. For this recipe, lengthwise cut bhindis are marinated and shallow fried. You can also bake bhindis, if you are looking for a healthier option. I have never tried baking process, but know some people use baking method. 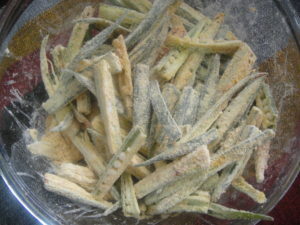 Wash bhindi/okra and dry bhindi with a muslin cloth. 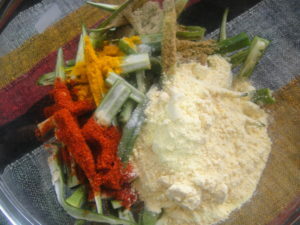 In a bowl add bindi and all the ingredients except oil. 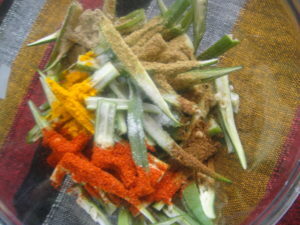 Mix properly and marinate bhindi for at least 25-30 mins. 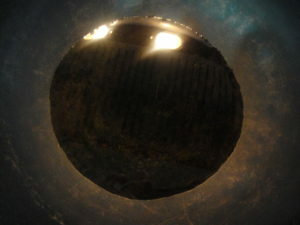 In a deep pan, heat 2-3 tbsp oil for shallow frying. 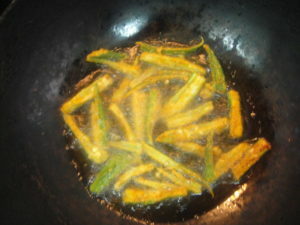 Start frying bhindis in small batches, first on low flame for 2-3 mins. After 2-3 mins, fry on medium flame till bhindis are golden brown and crispy. Keep on turning bhindis to cook from all the sides evenly. Keep repeating same steps for other batches. 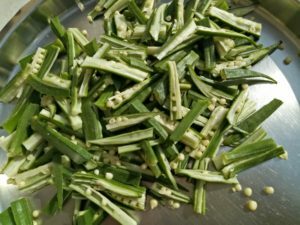 Serve kurkuri bhindi hot ! Woah!! 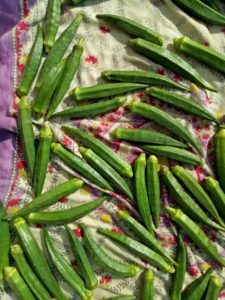 I love bhindi fries and bhindi masala 🙂 🙂 Will try this recipe.